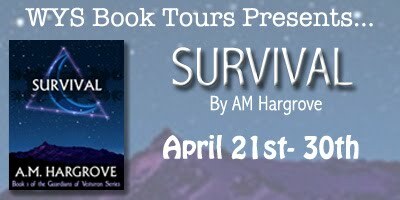 Survival (Guardians of Vesturon, #1) by A.M.Hargrove. 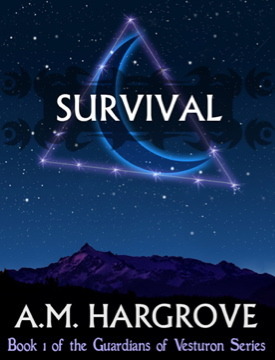 You can now get a copy of Survival for free on Amazon! Click here if you'd like a copy! Also, don't forget to enter the giveaway for the sequel, Resurrection. Playlist for Survival (by A.M.Hargrove). Ok, as far as my playlist goes, when I wrote Survival, I was all over the board. My taste in music is way over the top eclectic and by that I mean I listen to everything from classical to rap, opera, bluegrass, pop, alternative rock, metal, classic rock... you name it and it is most likely on my iPod! With respect to Survival, I listened a lot to "Beautiful Love" by The Afters and their video actually inspired my book cover because in the beginning they show the sky lit up by stars and I thought it was perfect! I also listened to Linkin Park, Coldplay and then some Amy Winehouse and Pavorotti. For Resurrection, I was really focused on Adele (Someone Like You and Set Fire to the Rain) and Cold's (not to be confused with Coldplay) A Different Kind of Pain. I also listened to Beyonce, Eva Cassidy and Rachmaninoff (as I love classical piano). As you can see, I'm a bit atypical in my tastes in music! "Beautiful Love - The Afters". "A Different Kind of Pain - Cold". "Someone Like You - Adele". Winner has 48 hours to respond or a new winner will be picked. After years as a successful sales manager in the world of pharmaceuticals, her company was gobbled up by a larger one and her career came to a screeching halt. Always one to look at the glass as being half full, she took the job loss as an opportunity to forge down the path of her life-long dream– that of becoming a writer. Her series, The Guardians of Vesturon, centers around a family of six siblings and is a mix of humor, mystery, suspense and of course, love. 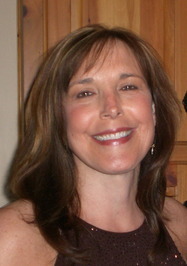 Survival is her first book in the series and her second, Resurrection will be released in January 2012. Love Adele, it definitely makes me want to read it. The rythyme (sp) is relaxing and sweet.